Versatile and easy, our extra large precooked Italian-Style Meatballs are the perfect pasta topping and they make a great appetizer too. 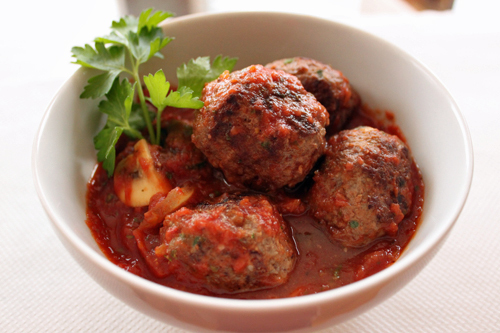 Our completely prepared Meatballs are seasoned with authentic Italian seasonings for the perfect flavor. Heat to an internal temperature of 180 degrees for 1 minute before serving.